How to Hard Reset on LG H735P(LGH735P) aka LG G4 Beat ? 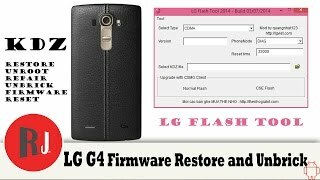 How to Factory Reset through code on LG H735P(LGH735P) aka LG G4 Beat ? Enter one of the proposed codes: 3845#*735# or 277634#*# or *#546368#*735#. How to Factory Reset through menu on LG H735P(LGH735P) aka LG G4 Beat ? I gotta say THANK YOU, for your quick response. It worked... Just asking, why is a hard reset needed? Make hard reset after flashing. Hi, Flash in phone 10a version. Use contact us form and send to us phone IMEI and we check how firmware you need. I need the kdz file for update to Android 6.0 in my lg g4 beat h735p movistar Colombia. Can you help me? 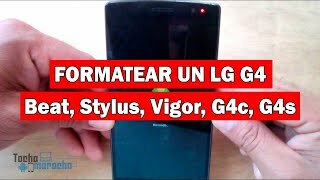 I need the kdz file for my lg g4 beat h735p movistar Colombia. Can you help me? kdz de android 6 para LG H735P. We have got only Android 6 for LG H735P. http://adf.ly/1faxnZ this is your link. In adfly click skip and after this click in address bar and press Enter. This 10b. Please check how firmware version in phone - downgrade can brick phone. http://adf.ly/1fFGno this is your link. Link work only few hour. If after adf.ly download no start automatic please click on address bar and press Enter. Copy url to fire fox or other web browser and download. Your link is http://adf.ly/1e4lst . In my PC all work perfect maybe your provider block adf.ly. Hello, Please post here file key and I check your problem.